Three big issues out from me this week - Daredevil #604, Poe Dameron #28 and CURSE WORDS #15!!! Let's kick things off with Daredevil #604, the penultimate chapter of the "Mayor Murdock" story arc. Art's by Mike S. Henderson, colors by the ever-great Matt Milla, and letters from the also-ever-great Joe Sabino. The cover's by Chris Sprouse, inked by Karl Story and colored by Marte Gracia. This issue features the origin story of Ordo Draconum, the Order of the Dragon, at least as it fits into Marvel U continuity. In essence, it's a group of tough-as-nails warrior priests who travel around the world and fight evil. They're derived from an actual Catholic military order from the 1400s, and didn't last into modern times. In Daredevil's world, though, they just went underground, battling things like vampires and sea-witches across the centuries, until now, when they're perfectly placed to help him fight off the Hand's invasion of New York. 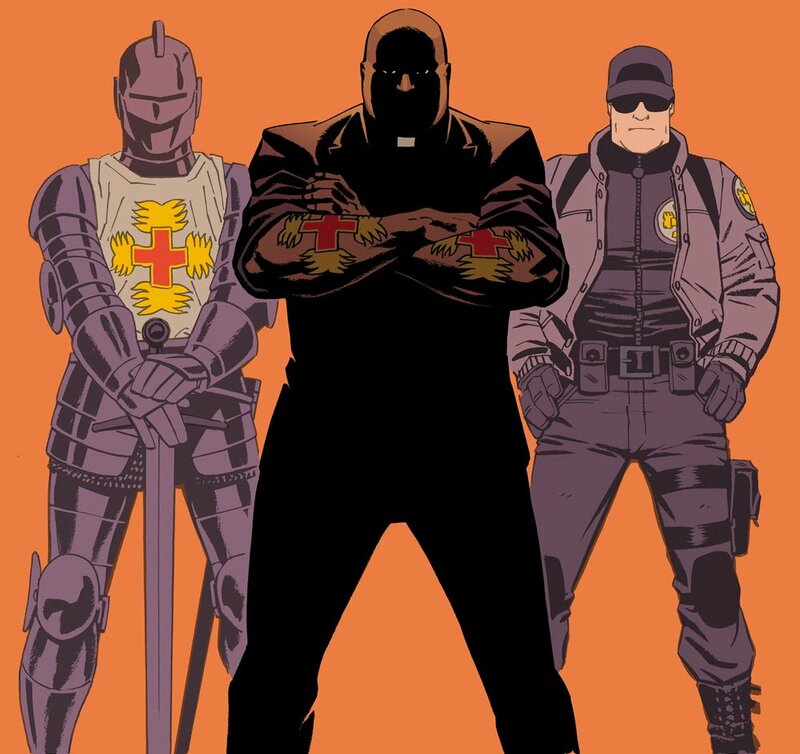 From Daredevil #16, drawn by Goran Sudzuka and colored by Matt Milla. That's Father Jordan in the middle, flanked by visions of Ordo Draconum warriors old and new. Now, at last, we get to see what that panel meant, years later. I love playing the long game in comics. Always fun. Next... Poe Dameron #28! It was announced yesterday that the series will be concluding with Issue #31, and I wrote a bit about that here, but we ain't done yet! This issue is part three of "The Awakening," which looks at the events of Episodes VII and VIII through perspectives we didn't get in the movies - or fills in important gaps in those stories. It's been extremely fun to think up different ways to tell stories we already know and make them feel fresh, and I feel like the way it work sin Poe #28 is the best of them. This issue also links Episode VII to VIII explicitly, and explains why we didn't see Black Squadron pilots like Jessika Pava and Snap Wexley in The Last Jedi. Moving forward, we'll see more from them, checking out the missions they were on during the fateful events of Episode VIII. And then... I'll say good-bye to Poe, at least for now. More thoughts on that when we get there. Next but NOT LEAST... CURSE WORDS #15!!! God, I love this book. I know it's my book (and Ryan's!) but man, I love it. Writing an issue of Curse Words is just so much fun - thinking up insane things for Ryan to draw, and then seeing what they look like when he draws them... it's one of my favorite experiences in comics. 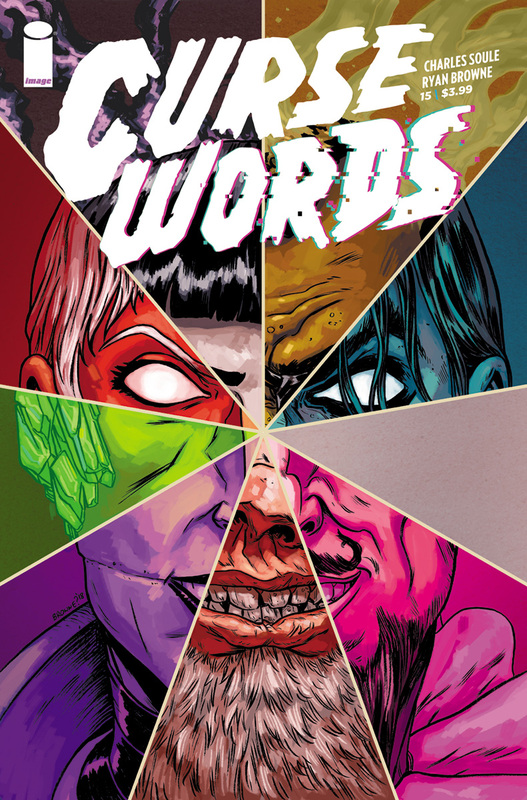 The main story in Curse Words will take a few months off to give Ryan time to get ahead, to ensure that the fourth arc all comes out monthly - but never fear, because we'll still have sweet, sweet content for you. The trade collection for Volume 3 comes out on July 18 (my birthday! ), and then in August, we'll have the Summer Swimsuit Special, which is a great, weird, funny one-shot drawn by Joe Quinones in which Sizzajee's Nine Evil Wizards go to the beach for a holiday. Issue 16 will be out in September. That's it for this week! Next week, it's... nothing from me! I have nothing out! However, the Hunt for Wolverine will continue, with Mystery in Madripoor #2 from Jim Zub and Thony Silas. Speaking of that, Claws of the Killer #2 from Mariko Tamaki and Butch Guice is on shelves this week, which means we're almost at the halfway point of the Hunt event. I just finished the last issue of Return of Wolverine, too, which has one heck of a great last line. (If I do say so myself.) See you soon!